Here’s one for you: Goku, Yugi Moto and Naruto Uzumaki walk into a bar (or should that be battle arena?). Aghast, the bartender looks up and says, “Is this some kind of joke?” Not exactly. Rather, it’s the core premise behind Jump Force, the manga extravaganza from Bandai Namco and developer Spike Chunsoft, who have left no stone unturned in the quest to assemble one of the greatest character rosters in fighting game history. Don’t believe us? Bandai’s far-ranging selection process has resulted in the likes of Frieza and Goku from Dragon Ball Z and Sanji and Blackbeard from One Piece all under one roof. It’s pretty impressive stuff, and further proof that Jump Force really ought to be on your radar by now. If not, don’t worry; we’re here to clue you in on what promises to be one of 2019’s first true heavy-hitters. With that in mind, we’ve combed the four corners of the Internet (and the PSLS archives!) to present to you the perfect primer for Bandai’s Jump Force. 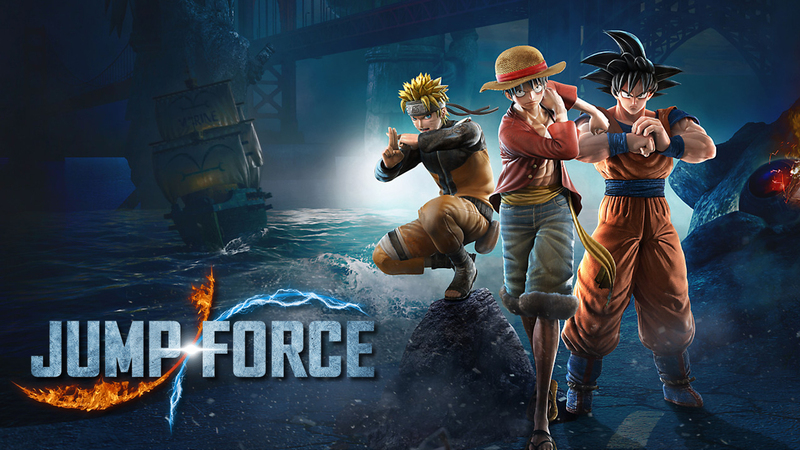 Jump Force makes a beeline for the PS4, Xbox One and PC on February 15, 2019. That’s the same day Far Cry New Dawn and Metro Exodus debut. But the question remains: which title, if any, will you be buying come Friday?